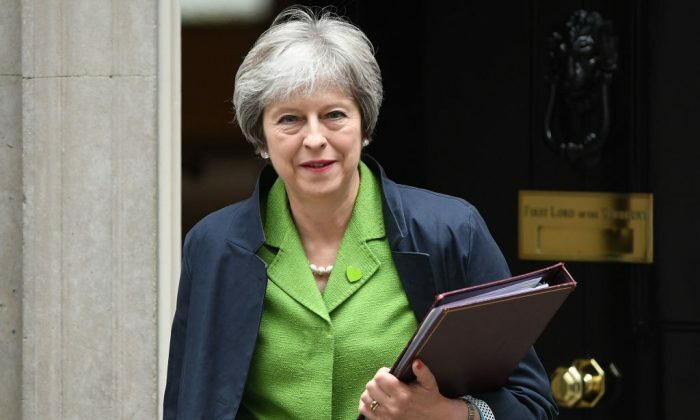 British Prime Minister Theresa May has been forced to hand more control of Brexit to lawmakers, as she tackles a last-minute rebellion that could open the door to a second referendum. The British public might have narrowly voted for Brexit, but what that Brexit looks like—from customs and immigration to the timing of the final exit—depends on the deal currently being hashed out with the European Union. How much control lawmakers get of that all-important deal is a question that gathered steam in recent months, with May refusing to grant Parliament a binding vote, saying it would tie her hands in negotiations. On Tuesday the battle for control came to a head, as lawmakers geared up to vote on whether to provide a “meaningful vote” to Parliament, something that could pave the way for a second referendum. As party rebels threatened to overturn her administration’s slim majority, May compromised, promising to allow an amendment of her own to allow more parliamentary control. Although Britons narrowly voted to leave the EU back in June 2016, the two still remain constitutionally wedded until at least March 29, 2019, as they negotiate divorce terms. The deal could include customs arrangements, financial settlement, jurisdiction of EU courts, and potential transition arrangements (i.e., a delay to the implementation of Brexit). The ruling Conservative Party has long taken the stance that MPs in Parliament will only get a take-it-or-leave-it vote on the deal. That stance was challenged on Tuesday by a draft of the European Union (Withdrawal) Bill, currently working its way through lawmaking chambers. The UK is not going to be ready in time, neither is the EU. The bill repeals the 1972 laws that made Britain a member of the European community, and also copies and pastes EU laws into British statute books to smooth out regulatory transitions. May’s version of the bill passed the first lawmaking chamber last month. But Britain’s second, unelected, lawmaking chamber attached various amendments, including one of a “meaningful parliamentary vote” on the deal. That amendment would have put lawmakers in the Brexit driver’s seat, potentially allowing them to call for a second referendum if they rejected May’s final deal with the EU. When 14 members of her own party (enough to overturn the majority) threatened to support the amendment, May agreed to a compromise. The rebels fell in line, and the amendment was voted down. “The British people voted to leave the European Union, and as prime minister I am determined to deliver that,” May told parliament. 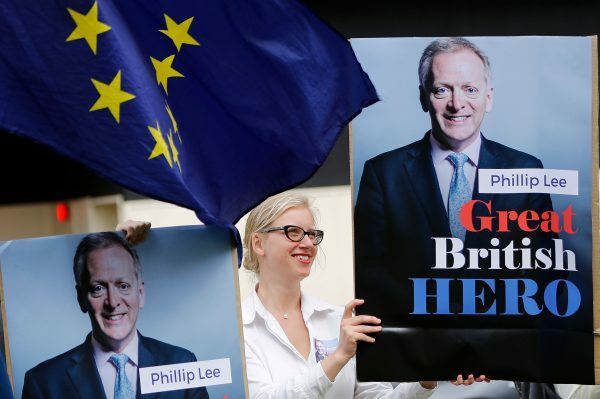 Ahead of the vote on Tuesday, Justice Minister Phillip Lee resigned, saying he could not support the government’s position. Although proportionately more Conservative voters opted to leave the EU, the Brexit vote is split across traditional political lines. MPs have struggled with torn loyalties between their party, their constituents, their own views on Brexit, and how to interpret their obligations to scrutinize legislation in lawmaking chambers. The historic document is the first bilateral agreement between an American president and a North Korean leader.